Toxicity of nanoparticles is depending not only on the size of the primary particles but on the size of their agglomerates. Therefore, further studies are needed to examine the behavior of nanoparticles after they have gotten in contact with cells. 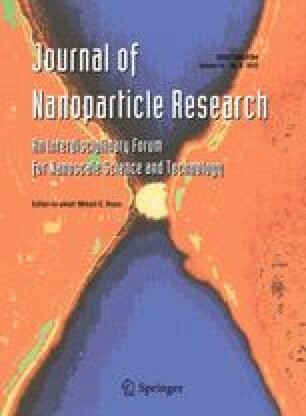 The presented study investigated the change of size of different commercially available nanoparticles after applying them to different cell lines such as A549, Calu-3, 16HBE14o and LK004 representative for the different parts of the human lung. The different nanoparticles exhibited differences in behavior of size. TiO2 P25 showed a tendency to increase, whereas TiO2 T805 and Printex® 90 remained more or less at the same size. In contrast, ZnO < 50 nm particles showed a significant decrease of size. The authors thank Gina Geide and Antje Oertel for excellent technical support. This study was granted by Federal Institute for Occupational Safety and Health (BAuA), Friedrich-Henkel-Weg 1-25, 44149 Dortmund, Germany.